We will be closed Wednesday 3/13 and Saturday 3/16 this week, but will be open Thursday and Friday 3/14 & 3/15. Next week is back to our usual hours. 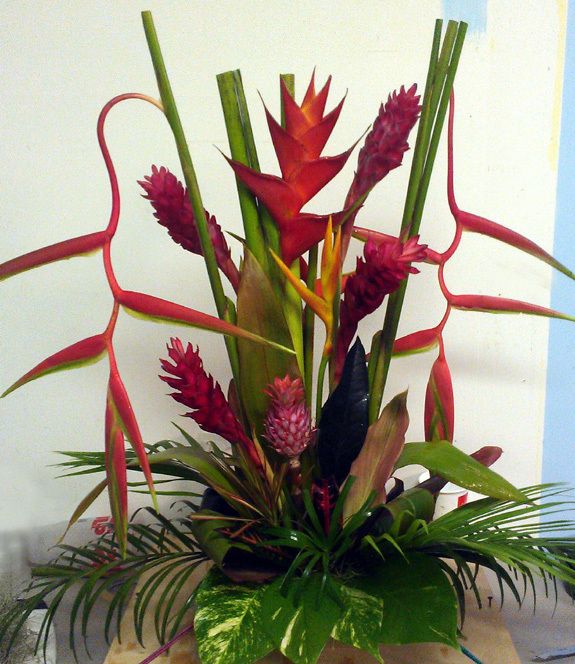 Just finished up a series of big tropical flower arrangements- see photo below- more pics on the way. Heliconia Collinsiana, Rostrata, Oriole Orange, Latispatha “Distans”, Golden Torch – New Varieties On The Way.